I was strangely drawn to this outwear while I am looking into my mum's closet and I came across it. Yeah, sometime I pick items from my mum's closet,which is full of inspirations. This pony vest is just amazing.It's vintage, oversize, and suits perfect on my body. That gets me excited. So that's what I wore some days ago: leather skirt, oversize outwear (you can match an oversize wool jacket,or a biker vest or a fur! 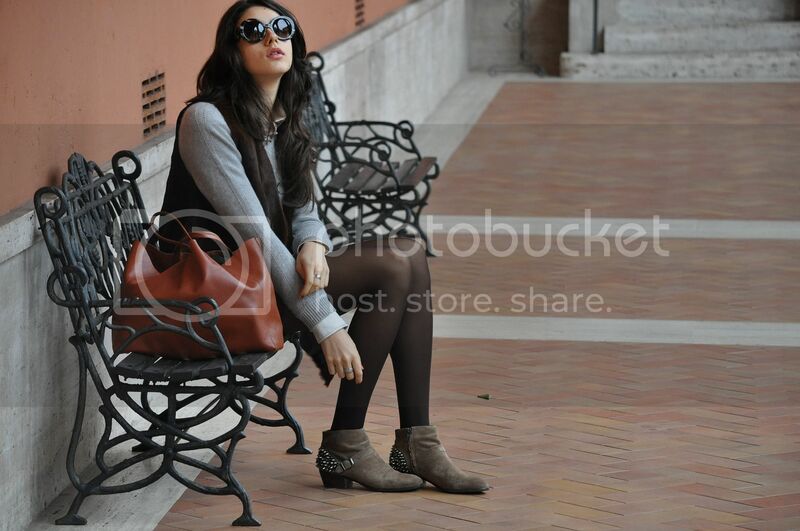 ), soft warm sweater and my lovely studded booties. Rock touch!